The rock spires behind the Cuernos del Paine. 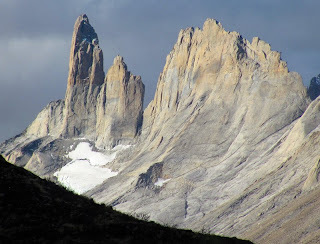 The pinnacle at left is called Espada ("sword") and the rock "fin" to the right is known as Oja ("leaf"). Leaving the Mirador Frances on our way back to the Lodge Paine Grande area where we'll catch the boat back to the Pudeto dock. Looks like a waterfall, but no! 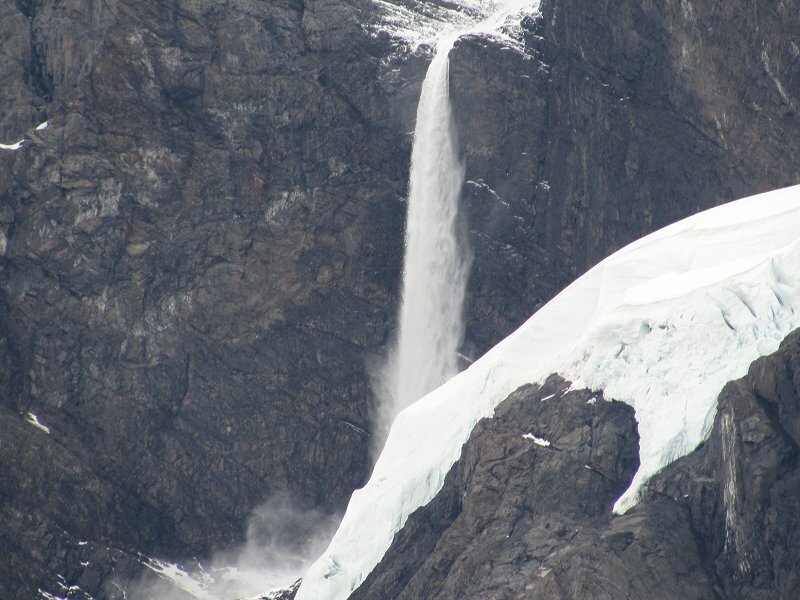 It's a glacial avalanche cascading down from the French Glacier high on the slopes of Paine Grande. Several of these large avalanches came down during the few minutes we were here--an "Old Faithful" avalanche! A view of Lago Pehoe from the Mirador Frances. Reflections in Lago Skottsberg...amazing! 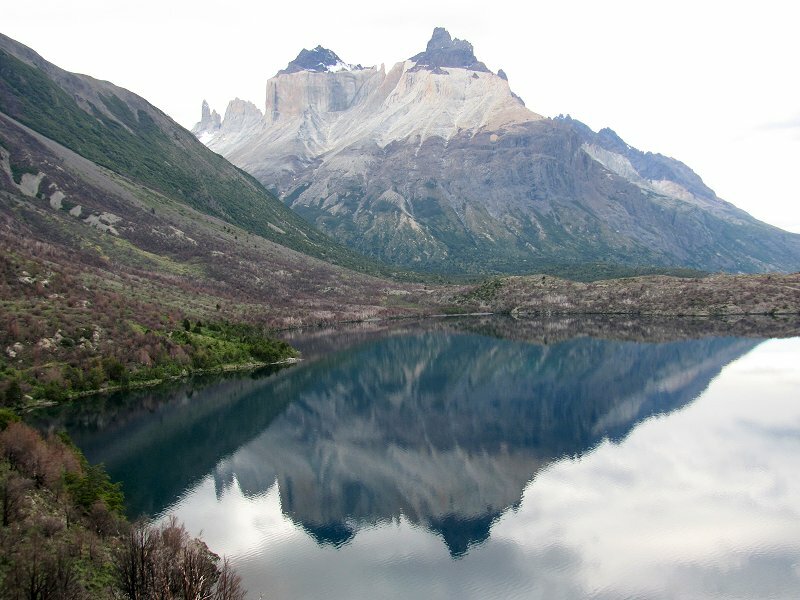 I've never seen this lake calm enough to show a reflection! 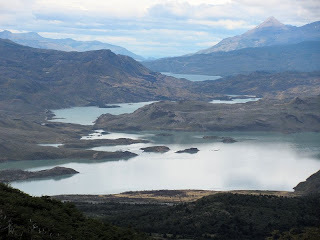 Usually there are strong winds here and the water equivalent of "dustdevils" dancing across the lake's surface. This is a special day! On the trail to the French Valley. Trailhead at the Lodge Paine Grande area. 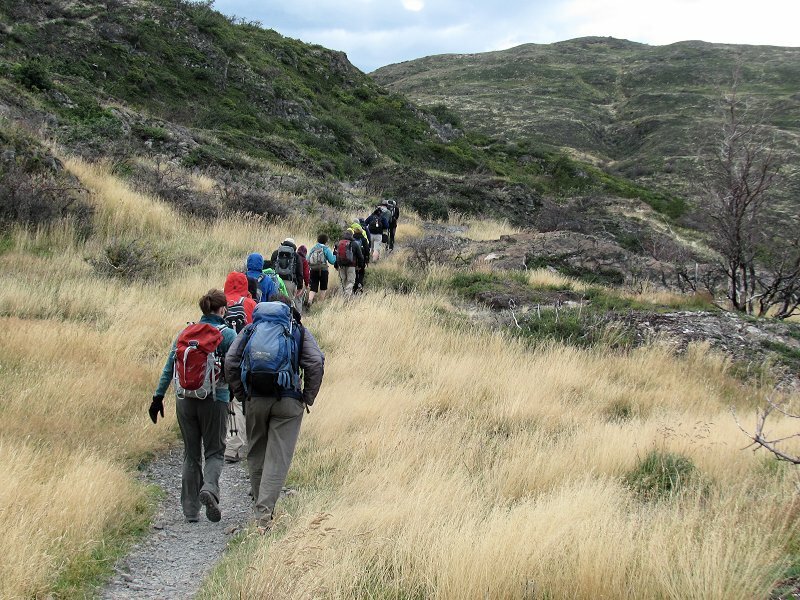 We're headed toward Campamento Italiano and the French Valley. 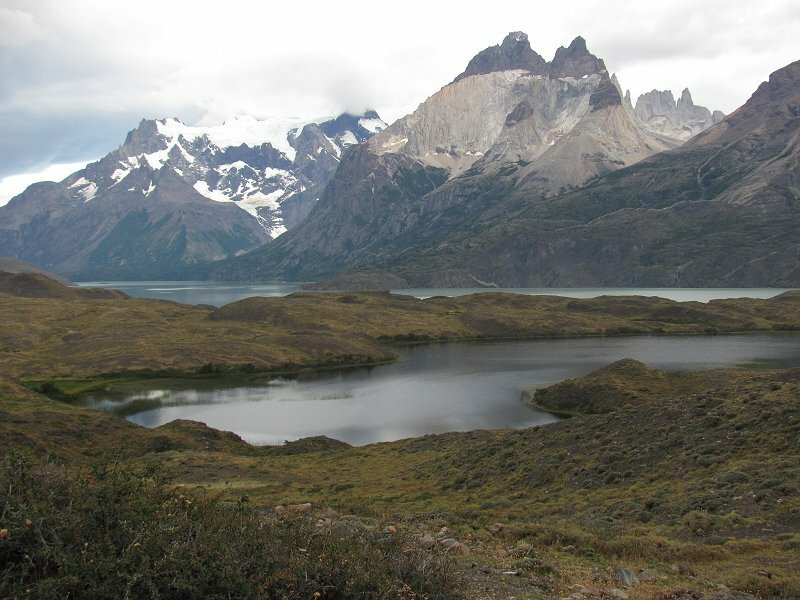 View of Paine Grande (left) and the Cuernos del Paine ("Horns of Paine") to the right. Seen over Lago Nordenskjold, Torres del Paine National Park, Chile. 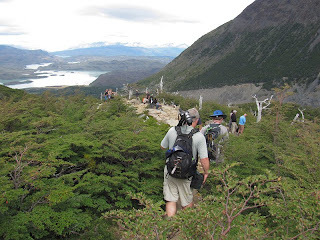 We are on our way to the Pudeto boat dock on Lago Pehoe where we'll take a catamaran to the Lodge Paine Grande area. 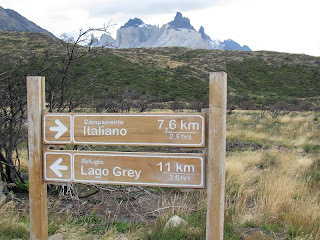 We'll begin our hike into the Valle del Frances ("French Valley") from there.